The government will continue borrowing abroad for productive investment, senior central bank official said. Bank of Tanzania Director of Research and Policy, Dr Joseph Masawe, said talks were currently going on with banks on a syndicated loan of between $500 million and $800 million, with proceeds earmarked to finance development projects. “The government is in talks with various institutions, but that is being done very cautiously,” he said. figure that takes into account the maturity profile of the debt. Based on those debt levels, he said, there was still “a lot of headroom” for borrowing for productive investment. He also said that Tanzania still intended to issue its first Eurobond but that it would not do so “at any cost”, noting that the cost of such borrowing had climbed. Tanzania had in the past said it would seek to issue the Eurobond in financial year 2015/16, which started on July 1.
via a syndicated loan for this financial year. “All these resources will be for investment in development projects, including infrastructure,” he said. country could be ready to issue a Eurobond by late 2016, assuming the pricing was right then. THE Bank of Tanzania (BoT) is to use dual policies to control liquidity in the economy until money markets satisfactorily support interest rate targeting. BoT said since capital and security markets are yet to be fully exploited, introduction of the interest targeting policy would not work effectively. The central bank chief, Prof Benno Ndulu, told the ‘Daily News’ that the policy change would not be effective as desired, leading to the use of both reserve money and interest rate targeting at the initial stage. “The old policy will be phased out gradually after the market adopts the new policy,” Prof Ndulu said. He said promotion of the new policy was underway and upon its completion it would be introduced to the market. “The current policy rate is 12 per cent,” the governor said, but the rate is not regarded as the market benchmark since the policy used to control money does not use interest rate rather other instruments – like Treasury Bills (TBs). According to International Monetary Fund (IMF), the central bank is collaborating and seeking the assistance from the East Africa Technical Assistance Centre (AFRITAC). AFRITAC is a collaborative venture between the IMF, recipient countries, bilateral and multilateral donors for technical assistance mainly on capacity building. BoT said the central bank rates would be computed based on TBs, liquidity stance and other market rates under supervision of the Monetary Policy Committee which will issue the interest rate after a space of time. Looking ahead, IMF said, the BoT is also in the process of developing a web based questionnaire for evaluating business conditions and inflation expectations and develop indices of leading economic indicators in order to further strengthen its monetary policy framework. The central bank has it that increasing economic activities that expanded the money markets to bring sophisticated financial systems have obliged the central bank to shift curbing liquidity goal posts. These changes, according to BoT, brought in new challenges which mostly are positive – like developing further the capital and securities markets. The challenges including developing money markets such as Debt Market, Dar es Stock Exchange and Foreign Exchange Market that normally fluctuate in either direction on central bank interest rates. The Tanzania shilling has been the most stable currency in the Eastern African region, but since the beginning of this year, it fails to hold against the US dollar and currencies of the country’s other major trading partners. QUESTION: Why is the shilling sliding down against the US dollar to reach 1,620/- by mid-last month? ANSWER: The movement of the shilling to the US dollar to exchange at 1,620/- is the outcome of normal market forces as opposed to failure of country’s monetary policy. For the past 14 months, since December 2011, the exchange rate of the shilling against the US dollar has remained stable in comparison to the depreciation for the previous year and in comparison with many currencies including those of our major trading partners. The annual depreciation of the shilling against the US dollar at the end of January 2013, was only one per cent. In the 12 months to December 2011, the shilling had depreciated by nearly 15 per cent, but the measures we took have considerably slowed down the rate of depreciation. Q: Has the tight monetary policies failed? A: No. Not at all. Actually, the data shows that while Tanzania Shilling depreciated by 1 per cent in the 12 months ending January 2013, the Kenyan shilling depreciated by 4.6 per cent and the Ugandan shilling by 11.7 per cent. At the same time the exchange rate of the South African Rand against the US dollar depreciated by 11.8 per cent, while that of Indian Rupee depreciated by 6.8 per cent and that of Japanese yen by 18.6 per cent during the same period. There has been significant increase in the demand for the dollar among non-typical users. Typically we pay for power generation in shillings. Currently the Independent Power Producers (IPPs) — other than TANESCO are mostly paid in foreign exchange — since they have to meet their obligations in foreign currency. The weekly demand for US dollars by TANESCO to purchase power from the IPPs and to pay for their fuel import bill is substantial and at present in excess of four million US dollars, putting additional pressure on the amount spent on importing expensive fuel for transportation and industrial use. The annual bill for importing expensive oil still stands at more than 3,300 million US dollars a year. Furthermore, foreign contractors building roads and other infrastructure projects funded by domestic revenue have to be paid and they typically externalise their revenues adding to the demand pressure for foreign exchange. Q: Tanzania is now taking the IMF Standby Credit Facility loan of about 117 million US dollars. Is this because we have failed to boost exports and thus the foreign exchange inflow? A: The decision by Tanzania to take the IMF’s Standby Credit Facility of about 117 million US dollars is not unusual. This decision is based on our assessment of the balance of payment needs, external debt sustainability position and concessionality of the loan. Tanzania has been borrowing from external concessional sources such as the World Bank and the African Development Bank to finance various development projects and programmes in order to boost economic growth and expedite poverty reduction. It has also borrowed from the IMF from time to time for balance of payments purposes. In its endeavour to expedite implementation of development projects, including transport infrastructure, power generation and the gas pipeline, the government has decided to borrow from nonconcessional sources. This decision has been taken with careful consideration of the country’s debt sustainability status. In 2011, the government borrowed 221.8 million US dollars for power generation. In 2012, some 213.5 million US dollars was borrowed for construction of the gas pipeline. via GROWING HOUSING OPPORTUNITIES IN AFRICA CONFERENCE 8TH – 10TH OCTOBER, 2012. THE 10-year bond by the Bank of Tanzania (BoT) was oversubscribed by 19.49bn/-, an equivalent of 65 per cent. According to the results of the tender floated last week, despite the oversubscription, the central bank accepted only 30bn/- sought to be mobilised after bidders demanded for high prices. “The highest and lowest bids were valued at 84.10 and 70.06, respectively while the average price for successful bids was 81.56,” stated the report. The continued oversubscription testifies to stability of the liquidity stance in the market. The BoT interventions to either ease or tight liquidity stance in the market is done cautiously without disturbing interest rates of the money instruments. In the 10-year tender, only 24 out of 31 bids received emerged successful, an indication that some investors tendered below the price offered at the market. In the preceding auction deal, the government accepted more funds and concentrated on bond issuance to finance its development expenditures. In the meantime, interest rates was 15.06 per cent lower than the rates offered in the previous 10-year deal, it did not prevent investors from injecting massive funds. Furthermore according to the central bank’s monthly economic review for the year ending June 2012, auctioned Treasury bonds worth 30bn/- and 15bn/- of 2-year and 10-year maturities, respectively. The auctions were oversubscribed and dominated by commercial banks, pension funds, insurance and few micro-finance institutions firms which are among the key players in the long term fixed instruments. The BoT accepted bids amounting to 20bn/- and 15bn/ for the 2-year and 10-year Treasury bond, respectively. The weighted average yields for the treasury bonds increased when compared to the rates recorded in the preceding auctions. Delegates of this conference are required to pay registration fee of US $300 or TZS 450,000 and register by downloading the Conference Registration Form, fill and email it to the Conference Secretariat conf@bot.go.tz. Alternatively, the filled form may be faxed to +255 22 2234053, attention: Valentine Buberwa. Registration deadline is ……15 September, 2012…………………………….. 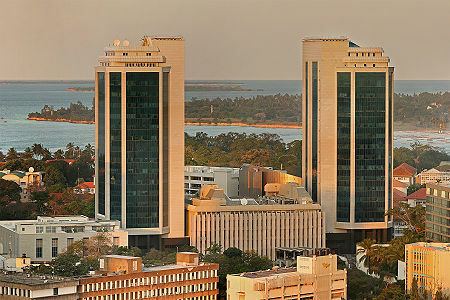 The conference will be held at the Bank of Tanzania headquarters in Dar es Salaam, Tanzania. Delegates are advised to make their own accommodation arrangements and inform the conference secretary (conf@bot.go.tz) For Hotel information. (click here). Visa for Tanzania. Where possible, Delegates are strongly advised to obtain visa from their resident countries to facilitate their travel arrangements.